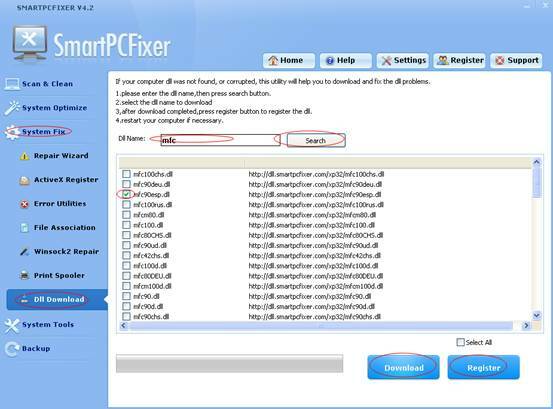 Dll Download: If your computer dll was not found, or corrupted, this utility will help you to download and fix the dll problems. Enter the Dll Name, and then click Search button. Select the dll name to download. After download is completed, click Register button to register the dll. Restart your computer if necessary.